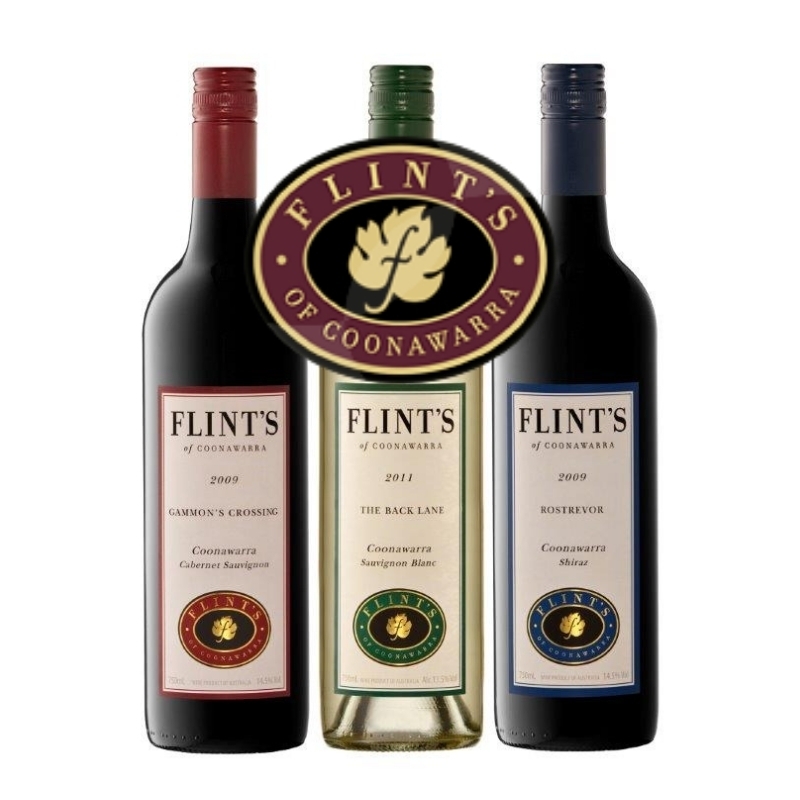 The Flint’s of Coonawarra vineyards are situated in Coonawarra, a GIC area that forms part of the Limestone Coast Wine Region in the south east of South Australia. This region is regarded as a cool climate region of Australia with an average rainfall of 600mm. The moderately warm days and cool nights make for an excellent recipe to ripen the fruit. The running of the farm and vineyards is a family concern, Matthew Flint, Damian’s eldest son is the Vineyard manager, he studied viticulture for seven years in the Barossa, he manages all the day to day running of the vineyards. 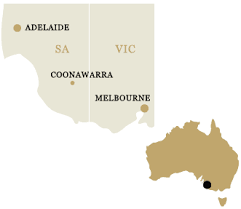 The vineyards mentioned below, have produced award winning wines and are acknowledged as some of the best in the Coonawarra. We have been leasing our other vineyard of 65 hectares for the past 20 years, this is now back under the Flint managment umbrella and keeping Matthew very busy! The Gammon’s Crossing vineyard was established in 1994 by Damian and Sue. In that year some four hectares of rootlings were planted. Clone 125 cabernet was planted as rootlings in rows 2.75 metres apart with vine spacings of 1.82 metres. To compliment the young vines a full frost and watering system was installed, using a 6 cylinder Cummins diesel motor coupled to a turbine pump. Soil samples were taken and fertilizer added to the required level as stipulated by those results. Comprising some 9.2 hectares this vineyard was hand picked for the first time in 1997 and by 2000 was producing good crops of fruit of exceptional quality. From the 2001 vintage onwards we have retained some of this fruit for our own label, the “Gammon’s Crossing” Cabernet Sauvignon, which has been a huge success. With the Gammon’s vineyard now producing excellent fruit we thought this was an ideal time to expand. After extensive soil analysis and studies carried out on the profile of the fertile red bank to the east, Damian and Sue planted two hectares of the clone 2412 shiraz in the winter of 1997. Thus began the “Rostrevor” vineyard. This new vineyard is situated a kilometre or so away from the main vineyard but in its short history has provided us with some delightful variances in fruit flavours. In 1998, after watching the vigour and excellent growth of the vines planted the previous year, a further 1.8 hectares of Shiraz were planted along with 3.2 hectares of Reynella Selection cabernet sauvignon and 3.2 hectares of merlot. The shiraz from “Rostrevor” has won consecutive trophies for the Best Shiraz at the Limestone Coast Wine Show in 2006 and 2007, while our first Merlot, the 2006 vintage, won the only Gold in it’s class and was a finalist in the prestigious Jimmy Watson Trophy at the Royal Melbourne Wine Show in 2007.